A booking photo of 46-year-old Sharla Joseph, who allegedly ran over her 7-year-old son while intoxicated on Sept. 17, 2016. GLENDALE, CA -- A 46-year-old Glendale,California mother was arrested after allegedly running over her 7-year-old son while driving under the influence, police said. 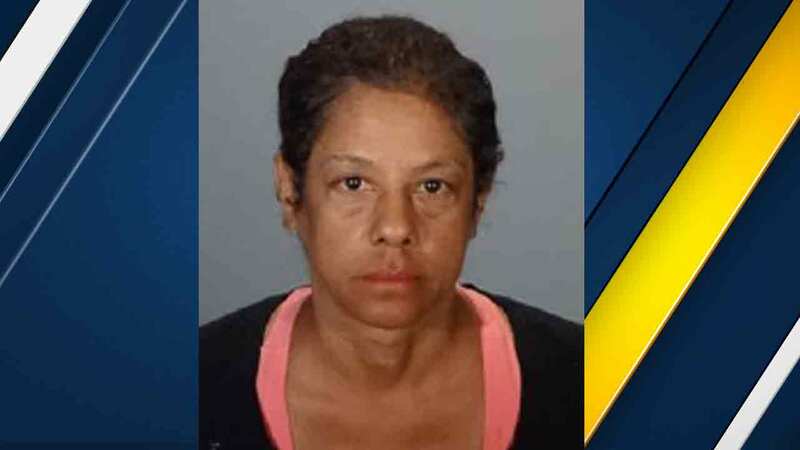 Glendale police said Sharla Joseph was booked for felony DUI involving an injury and child endangerment after she allegedly ran over her son's leg at a Ralph's supermarket. The incident occurred just before 5 p.m. on Saturday, when Joseph was shopping at the store in the 1200 block of north Central Avenue in Glendale. Joseph was with her 5 and 7-year-old sons and was reportedly arguing with her children over behavioral issues as they were leaving the store. Once they got to their vehicle, Joseph told her kids that she was leaving them behind. Glendale police said she entered the vehicle and locked the kids out. As Joseph backed out of her parking stall, the two boys clung onto the passenger side door handles. As she drove forward again, the 7-year-old boy fell to the ground and the rear tire ran over his leg. The boy was taken to Children's Hospital without significant injuries other than pain and bruising to his thigh area. The 5-year-old boy was not injured, Glendale police said. Glendale PD obtained blood samples of Joseph, and the Los Angeles County District Attorney's office filed one count of felony DUI. Joseph was in custody with a $200,000 bail, and the children were released to family members. The case was referred to the Los Angeles County Department of Child Services.